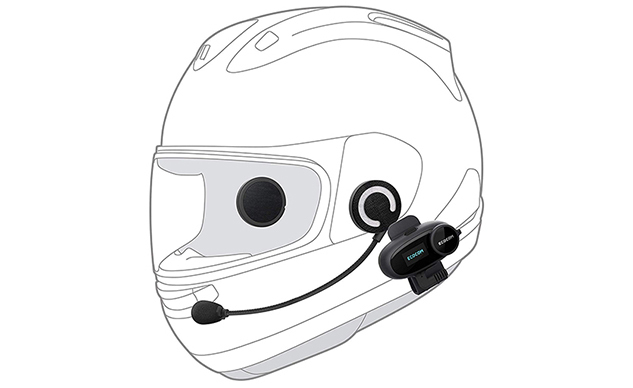 In-helmet bluetooth headsets are a great resource for group rides, allowing you to communicate clearly with your fellow riders clearly rather than relying on hand signals. These units can often be pricey, but we just spotted a great deal on one of these units from a company called Ecocom that is definitely worth consideration. Usually priced at $60.99, a 41% markdown brings these units down to only $36. The units can maintain a connection at up to roughly 1,000 yards, can link to 2 other units simultaneously, and can also be paired to media players and GPS units to provide some great additional functionality if you’re out and riding solo. The unit doesn’t have much in the way of reviews just yet, but so far it seems it’s being well received and is easy and straightforward to install.